The Imagination Library is a FREE program that inspires a love for reading by delivering books to babies born on or after January 1, 2016, who are residents of Hancock County. Books are delivered monthly to the home, and in the name, of the enrolled child, building their own personal library, until the child’s fifth birthday. So far, more than 900 children have registered and receiving free books at home.We would be most grateful if you would consider spreading the word about this great opportunity to your friends, family, clients and patrons. Thanks to a generous anonymous donor, all gifts will be matched at $.50 to the dollar this week, up to $25,000. Last year, we were able to raise $61,900 for Imagination Library. Let’s see if we can beat that this year! The annual costs for this program is just $26 per child, so every little bit helps. Please help us raise awareness of the continuing need and show your support by making a donation. Individuals may also contribute by cash, check and credit card at the HCCF office or online by donating HERE and be a part of the wonderful gift of literacy to the children of Hancock County. 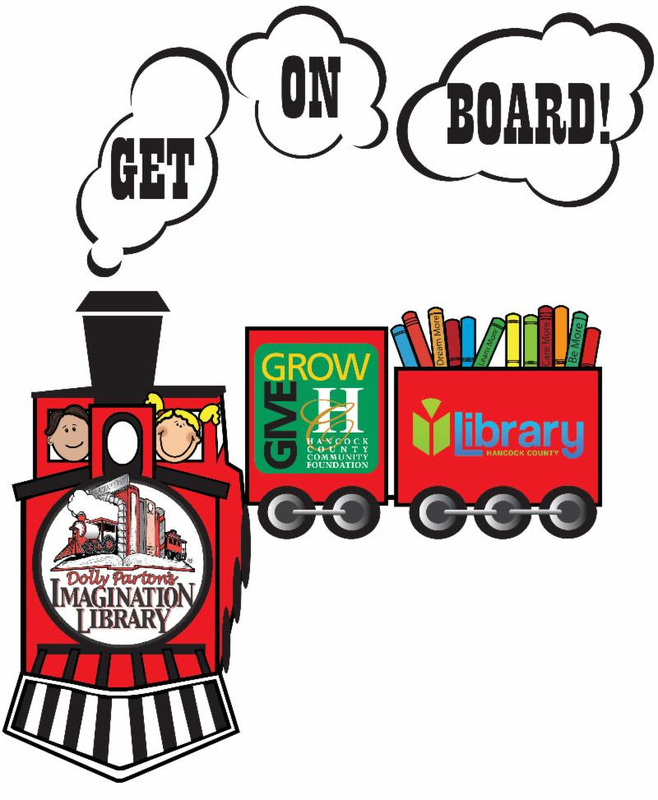 On behalf of the Hancock County Community Foundation, please accept our gratitude for helping us spread the good news of the Imagination Library Giving Week! During Imagination Library Giving Week (September 17-21), there will be several Dine to Donate opportunities at local restaurants. Dairy Queen (Fortville, IN) – Noon-9 pm. They will donate 10% of their sales to Imagination Library. No flyer needed. Culver’s (Greenfield, IN) – 5-8 pm. They will donate a percentage of all sales to Imagination Library when you dine in. They will have train cars to write your name on and donate a dollar or more. These will be posted in the restaurant during the week. They will also have a donation bucket. They will donate $1 for each “Pink Elephant, Wooly Mammoth, or Fluff a Lump” purchased during the month of September.